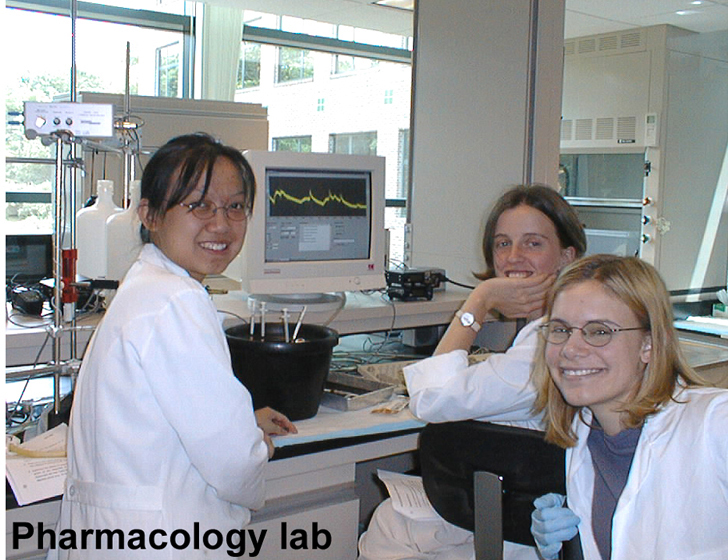 The Undergraduate Pharmacology Program at Stony Brook University was initiated in the fall of 1994. Although the Program has grown in size over the years, we currently maintain an enrolment of 25-30 students per year. Students receive individual attention, and courses are taught by faculty members. The Program provides excellent academic training for students planning to enter graduate programs or pursue careers in medicine or other health sciences. 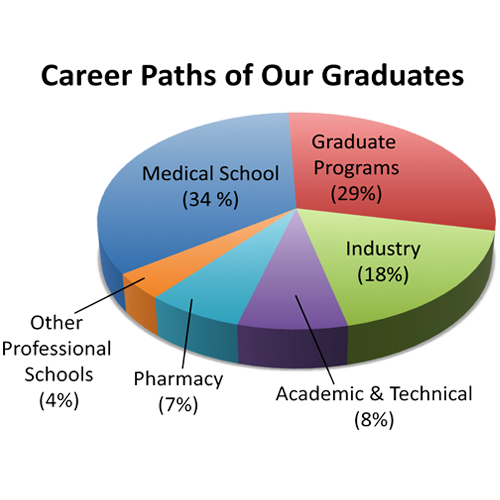 The pie chart below illustrates the career paths of our recent graduates. Focusing on cellular, molecular, and human pharmacology, the Program provides students with opportunities to conduct independent research projects under the supervision of medical school faculty. Many of our students publish their results in scientific journals. Students with interests in physiology, chemistry, biochemistry, and cell biology are excellent candidates for entering the Pharmacology Program. The major in Pharmacology introduces students to the scientific principles and mechanisms of drug action on biological systems. Experimental studies in pharmacology range from the treatment and prevention of disease states to determining the effects of chemical agents upon subcellular processes. In addition,the toxicology of biohazardous materials, pesticides, and industrial pollutants is explored. Please see below for application forms and instructions. Pharmacology is a scientific discipline that focuses on how drugs affect biological systems. In this context, a 'drug' is broadly defined as any chemical agent that acts on living cells.Pharmacology is an interdisciplinary science that employs the experimental techniques of physiology, biochemistry, cellular/molecular biology, microbiology, immunology, genetics,structural biology, and pathology. In addition, pharmacological studies range from investigating the effects of chemical agents at the subcellular level to investigating the potential environmental hazards of pesticides and industrial pollutants. Moreover, many pharmacologists have devoted their careers to studying the mechanisms of drug action and the developement of new therapies and treatments. Pharmacology is thusthe foundation of medicine, pharmacy, dentistry, veterinary medicine and many other healthcare fields. Click here for more information about the scientific field of Pharmacology. The short answer is No.Pharmacy, which involves the dispensing of drugs, is pursued through a university with a PharmD or pharmacy program, which Stony Brook does not have. Pharmacy encompasses a small part of the discipline of pharmacology, which can be defined as the study of how drugs alter body processes, usually with therapeutics in mind. Click here for more information about the differences between Pharmacology and Pharmacy. If you are a highly motivated and curious individual who is fascinated with the life sciences and enjoys problem solving--- then pharmacology is for you. 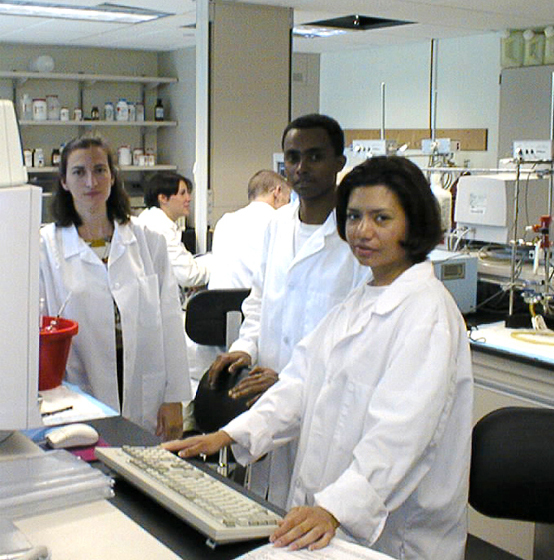 Pharmacological sciences include biochemical, cardiovascular, endocrine, molecular, and neuropharmacology. 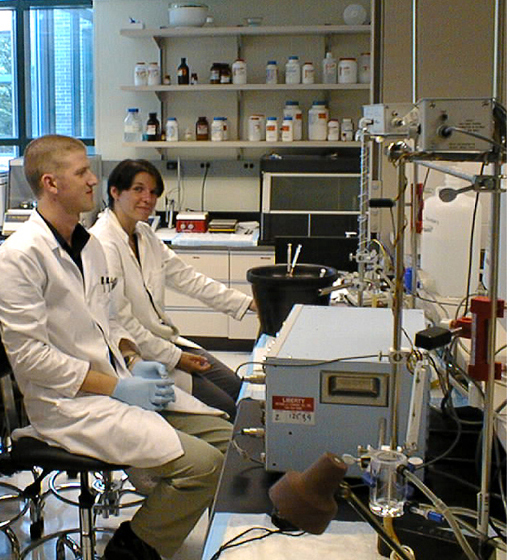 Related fields are clinical pharmacology and medical chemistry. Novel drugs have been designed to combat cancer, AIDs, diabetes, cardiovascular disease, and neurological disorders, among others. The effects of chemicals and industrial pollutants upon the environment and ecosystems are monitored by pharmacologists and toxicologists. Marine natural products with therapeutic properties are being isolated. Drugs are being used as probes to better understand the molecular, cellular, and physiological processes occurring within the human body. There are no boundaries for the science of drug discovery to improve the quality of human life, and many career pathways and opportunities are available for pharmacologists.